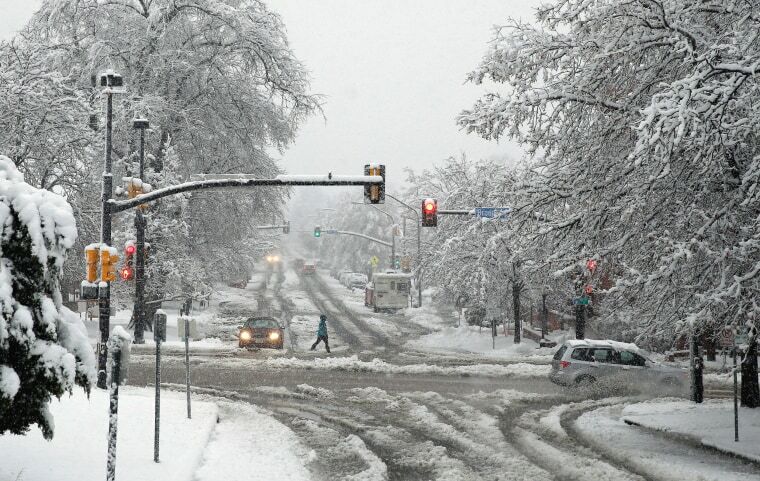 A spring storm brings huge amounts of snow and headaches for Colorado residents. Commuters battle deep slush as a spring snow storm hits Boulder, Colo. on March 23, 2016. 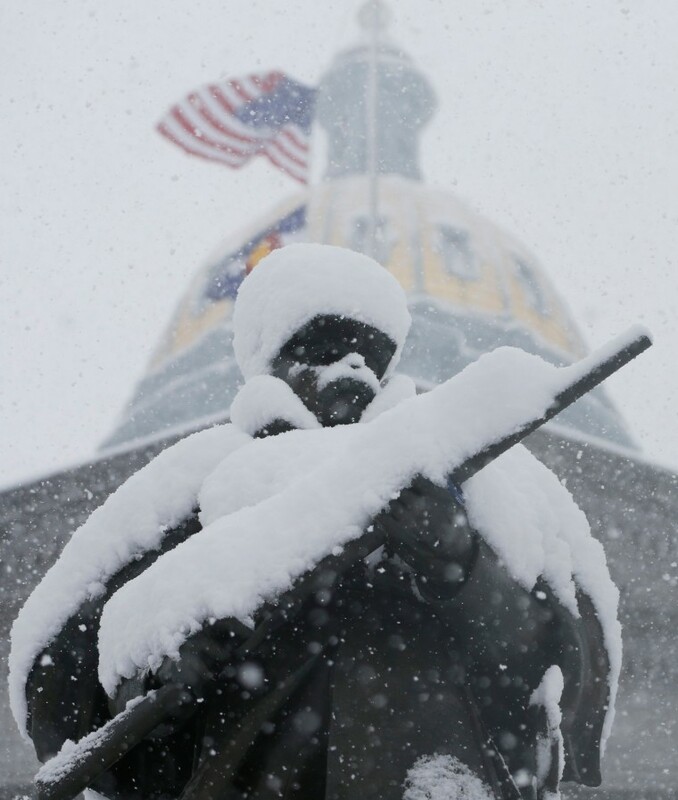 A thick layer of snow obscures the features of the statue topping the Civil War monument and memorial in Denver on March 23. 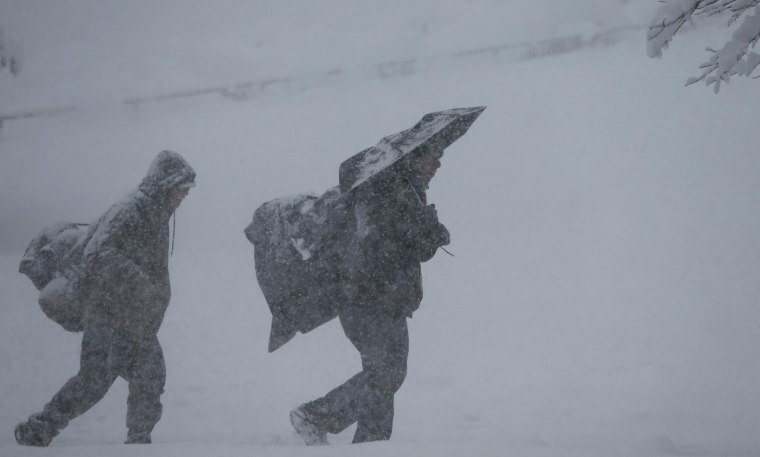 The wet, heavy snow and strong winds have crippled travel in north central Colorado, shutting down some highways and schools and even Denver's airport. 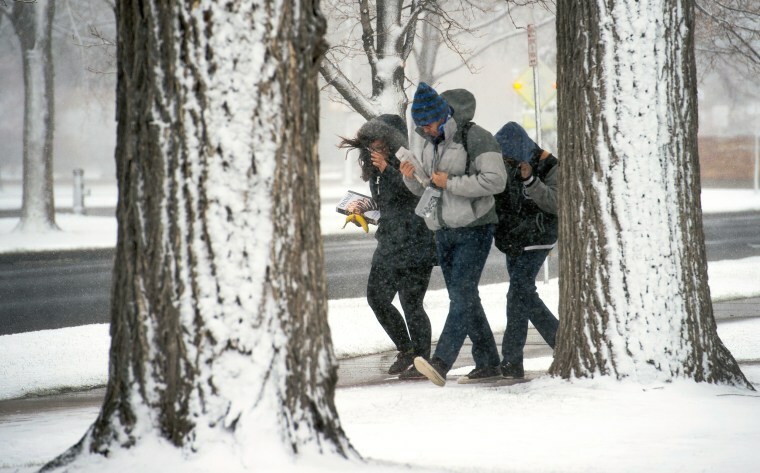 Colorado College students walk across campus on March 23, in Colorado Springs. 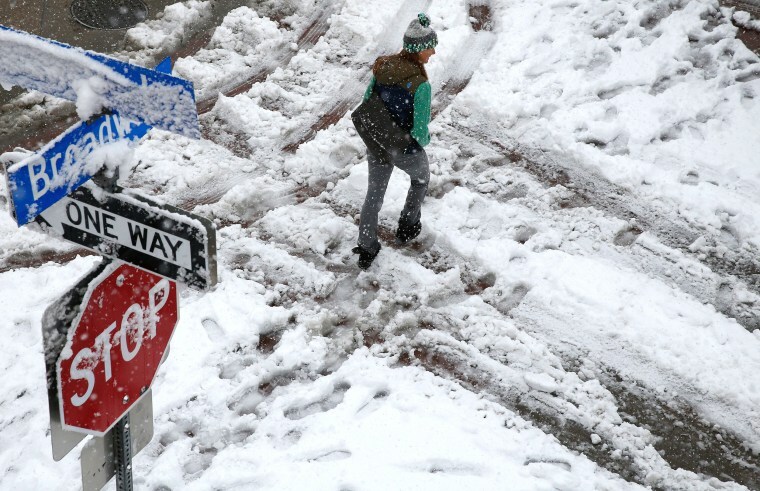 Pedestrians struggle to climb the hill south of the State Capitol as a spring storm packing high winds and wet, heavy snow blanketed Denver on March 23. Jolie Epp fights through blizzard conditions while holding her baby, Zealand, in Monument, Colo. on March 23. 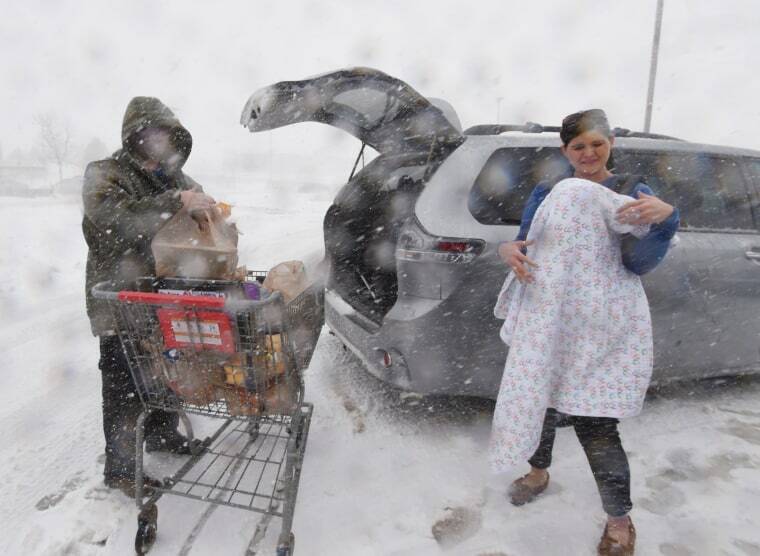 King Soopers employee Josh McClaskey, left, helps her get her groceries to her car. 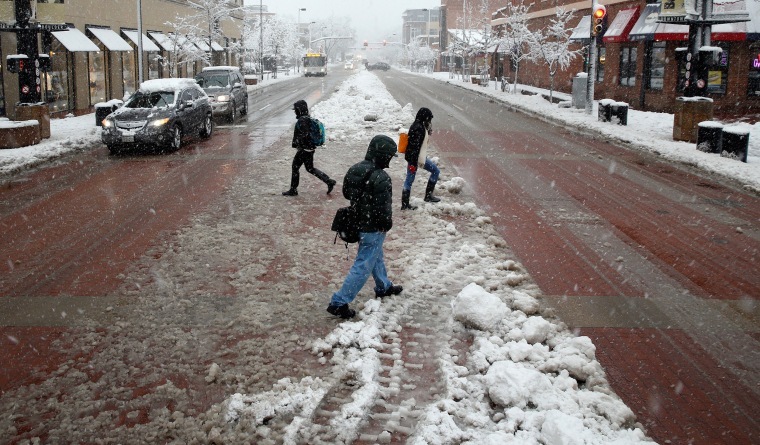 Pedestrians cross a slushy road after snow, in Boulder, Colo. on March 23. 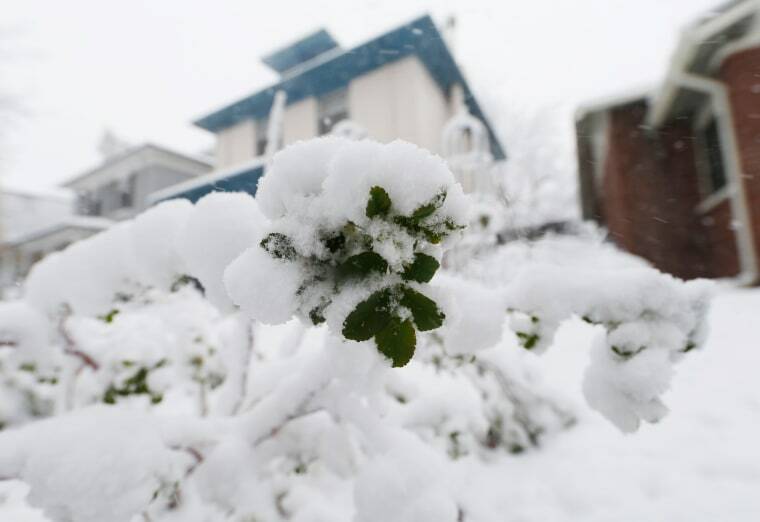 Snow enrobes the bud of a bush in front of a house in central Denver as a spring storm packing high winds and snow blankets the Mile High City early Wednesday, March 23. 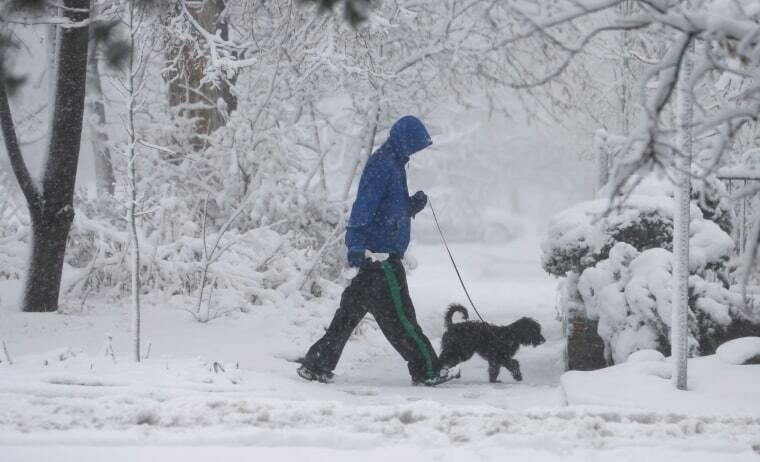 A pedestrian walks through slush in Boulder, Colo. on March 23. 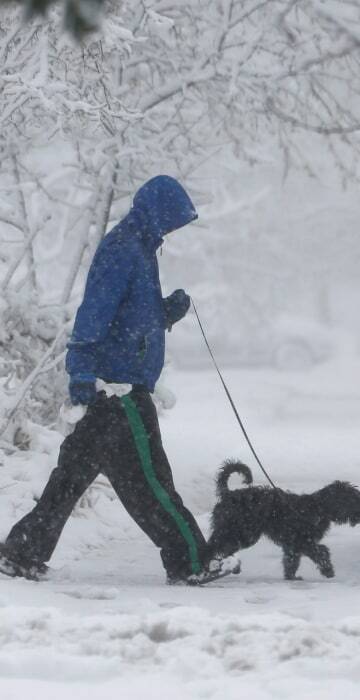 An man walks his dog in Denver on March 23.